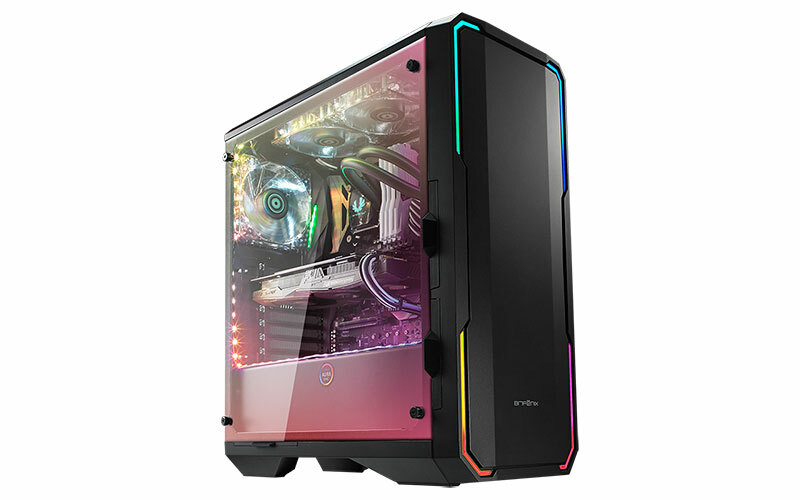 BitFenix has announced the Enso, a new mid-tower chassis that is perfectly in sync with the longstanding obsession around tempered glass and RGB LEDs. The company first showed off a version of the Enso at Computex 2017, and it’s finally ready with a finished product. 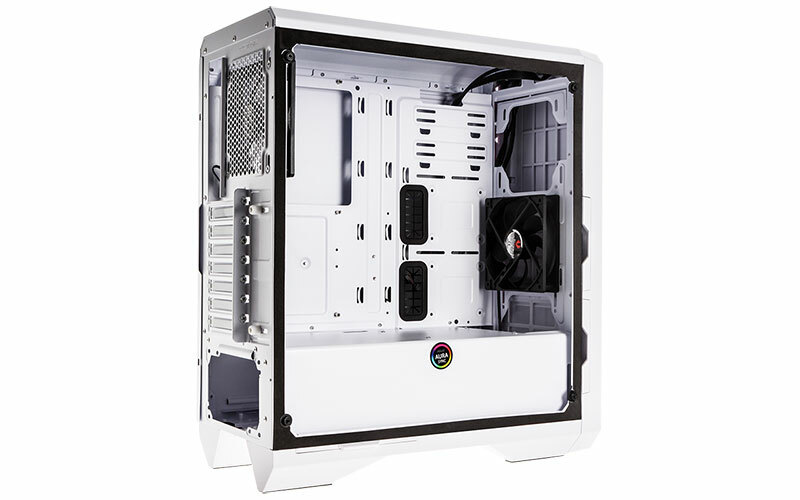 This isn’t one of those cases with tempered glass all around, and the Enso has just a single tempered glass side panel on the left. Overall, the design is quite conservative, but it manages to avoid looking too boxy or boring with slopping edges that break up the monotony. However, in a time when every other case boasts of some sort of RGB lighting and built-in lighting controls, the Enso stands out because of its addressable LEDs, where each LED can be assigned its own color. Obviously, this allows for a much greater degree of customization, and you’ll be able to tweak the lighting effects precisely to your liking. BitFenix developed its addressable RGB LEDs with ASUS, so they’re compatible with the latter’s Aura Sync features. However, the LEDs on the Enso are limited to the front panel and rear fan, and are hooked up by default to a lighting controller with a few preset colors. That said, only the LEDs on the front panel are actually addressable. You can also bypass the controller and connect them directly to your motherboard’s 4-pin RGB headers using the included adapters. These are magnetic LED strips that can attach easily to any steel case, and are available in 30cm or 60cm lengths. Alternatively, you can mount the strips using adhesive if you don’t have a metal chassis. Each 30cm strip has 15 LEDs, while the 60cm strip has twice that. But LEDs aside, the Enso supports up to a 280mm radiator on the front, and the front of the case will also take both 120mm and 240mm fans (only one 120mm fan is included). Another two 120mm fans fit at the top, but there was no mention of radiator support here, perhaps due to possible clearance issues with the motherboard. And while there’s ample room for large graphics cards – up to 340mm – the maximum CPU cooler height of 160mm may mean trouble fitting in larger and higher performing air coolers. That said, the generous 23mm gap between the right side panel and the motherboard tray will be much appreciated by system builders who constantly struggle to squeeze cables behind. The rear of the motherboard tray will accommodate three 2.5-inch SSDs, but the drive cage at the front only has room for two 3.5-inch HDDs. The Enso retails at US$89 (~RM370), which is a pretty attractive price for what it offers.